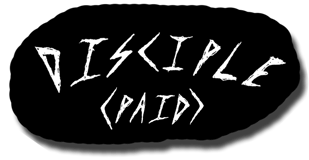 Disciple Membership is a small annual fee. Membership is open worldwide*. For fans within the United States the membership fee is $50 USD per year. For Canada membership, it is $75 USD. For other worldwide locations, membership is $85 USD. Disciple Membership includes all the perks of the Fan Membership, plus Disciples will receive a limited edition Official Mac DeMarco Fan Club ring & gift package, personalized birthday message from Mac’s mom, a holiday surprise from Mac, access to exclusive artwork and music, early bird ticket access for select concerts and an annual printed Official Mac DeMarco Fan Club newsletter/zine sent to your home address. Choose your location to sign up now! * Membership is open worldwide. Payment is processed by Stripe (via Memberful); all major credit and debit cards are accepted. Subscriptions are good for one year and will automatically renew unless you choose otherwise. International Disciple members may be subject to slight additional postage charges due to shipping costs and taxes. Due to touring schedule, please allow up to 10 weeks for the delivery of your Disciple Fan Club gift ring & membership package.